Acute Respiratory Distress Syndrome (ARDS) affects hundreds of thousands of people each year, many of them children. Those with this life threatening condition have severely injured and wet lungs, and are treated with mechanical ventilation. Now, a study led by Professor Kanwaljeet Anand published in Frontiers in Pediatrics, investigates the effects of a new steroid treatment on children suffering from ARDS. ARDS is a catch-all term associated with the inability of lung tissue to take up oxygen, the lungs become very stiff and are incapable of transferring oxygen into the blood. ARDS can occur following direct injury of the lungs, such as pneumonia, bronchiolitis, following inhalation of toxic gas and near drowning. It can also develop in patients with severe systemic illnesses. Understanding why ARDS occurs and the differences between mechanisms is key to being able to treat ARDS effectively. To develop an effective steroid treatment for ARDS, the team needed more information how steroids affect lung inflammation. They isolated five biomarkers that are at abnormal levels in ARDS sufferers. These are associated with the blood clotting system, white blood cell activation, and injury of cells lining the lung and blood vessels. “The study found that there are important differences in biomarker levels in the children that received the steroids, compared with those who did not,” says Kimura. In developing this framework for biomarker identification, the team has made the first major steps towards being able to understand the causes of ARDS and develop targeted treatment. Although still in the early stages of research, these preliminary results indicate that steroid treatment may have potential for improving the outcomes of children suffering from ARDS. 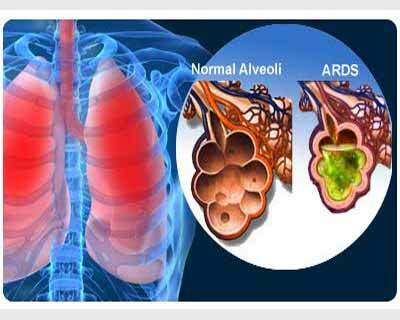 The team has also laid the foundations for understanding of the underlying causes of ARDS. They will continue to investigate the biomarkers present in sufferers to identify children who will most likely benefit from steroid treatment.